Social Media consultants should be familiar with every different type of social media site, as well as who they target, and the best practices for acquiring new fans on each. A great social media consultant will be able to answer these questions confidently, and efficiently. What do you know of my market? Although many social media consultants won’t be as familiar as you are with your particular market, they are still the best people to generate content for your company. Why? Because they know how to target your audience, even if they don’t have a comprehensive understanding of your product or service. A talented social media consultant will work to understand your brand, voice, and product. A great way to help with this is to provide applicable content that you’d like to see posted. Most social media consultants, like the ones at Wizler, can derive the voice and type of content you are looking for from a basic example. Things like your website also help to achieve market knowledge. In general, a social media consultant doesn’t need to have the same knowledge you do about your company to cater to your audience – as your audience doesn’t have that specific knowledge either! How would you engage my audience? Engaging your audience is easy once a social media consultant is familiar with your company and what you do! Engaging your audience has a lot to do with what you’re selling and what voice your company is exemplifying. Engaging your audience goes beyond just following people on Twitter and hoping for a follow back – anyone can do that. A true social media consultant will post content that directly caters to your audience. Your social media consultant will also ask questions, and post things that may not completely apply to your product, but will still be interesting to your particular audience. A great social media consultant engages and creates a following by indirectly selling your services, and instead reels in your audience by posting things that pertain to your client base without being pushy. Social Media consultants use a myriad of tools to get your company speaking directly to your audience. One of these is HootSuite, or TweetDeck; tools like these allow social media consultants to schedule posts weeks, months, or even years advance. 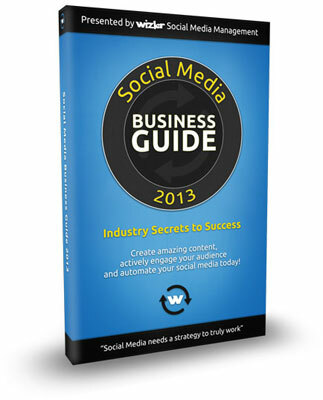 By doing so, you are guaranteed to always have fresh content on your social media sites. Another tool Social Media consultants use is scheduling posts at times that are applicable for your client base; studies show that after 3 hrs, most posts on sites like Facebook fade away from the News Feed; having a dedicated social media consultant guarantees that you will always be represented virtually. Which social media aspects do you specialize in? The right social media consultant shouldn’t have specializations. Of course, there are things that one is more familiar with due to their own hobbies and interests, but the right social media consultant can compile content that is perfect for your business, regardless of their personal background. If a social media consultant tells you that they can only write about a certain genre of things, you’re not hiring the right social media consultant! At Wizler, all of our social media consultants are familiar with every medium for social media and can post on a myriad of topics. How much and how often would you spend time on my campaigns? Wizler’s Social Media Consultants will check and monitor your social media accounts DAILY! We will monitor every single comment received, and every follow you get, engaging with your audience to create the feeling that you are truly present on social media. How do you measure the ROI? At Wizler, we measure ROI by engagement. ROI is a hard thing to measure, as it may take some time for your likes on Facebook, Twitter, and Google+ to transform to sales, depending on your product. Often times, having a large fan base for your company will subtly convert into ROI based on need of service. When someone needs a service you offer, and they already like you on Facebook, they are 80% more likely to use your service due to familiarity. A personalized social media consultant will help your business by creating an online persona for your company. These days, your company needs to represented virtually – or else your general consumer base will feel you are a disconnected, old fashion company. Having a dedicated social media consultant works in your favor because it allows your company to be represented virtually, without you putting forth any effort. Furthermore, a social media consultant at Wizler will only be assigned 3 clients – so they are posting on your company’s behalf and monitoring your social media posts for at least 30 hours a week. Ask yourself – how much would it cost you to have a social media consultant who is working directly for your company, to be there almost full time? Chances are, it is much more beneficial for you to hire a social media consultant through Wizler.com because the social media consultants at Wizler are excessively familiar with all the trends in social media, plus they cost considerably less than hiring on your own full time employee. Overall, Social Media consultants are necessary to have your company represented online. Today, people do extensive research prior to making purchasing decisions, so it is imperative that your company is represented in each social platform. When a potential customer researches your company and finds that you have an active social presence, and better yet, that you actually converse with your customers, they will be certain to purchase your product. In 2013, having an excellent website is not enough to convince the public to buy your product; the customer service element that having an always-on social media consultant grants is essential.